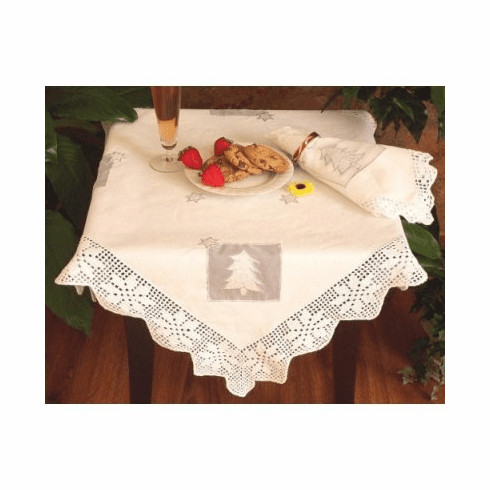 This is white 100% cotton hand made table topper. Cool Christmas tree on sherr linen. Topper round with hand made crochet lace.